Lost a bit of festive sparkle already, Huw? He turned Mary Berry into a giggling teenager when he let her inspect his impressively toned biceps. 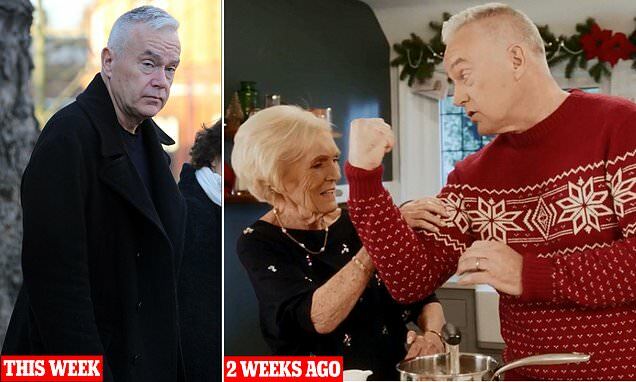 But the festive period already appears to have taken its toll on Huw Edwards. The newsreader, 57, was pictured looking tired and glum on a morning stroll in south London.